Are you a new entrepreneur, are you looking to create your first online store ? well here are the top 10 tips which will give you clear idea how to approach as an entrepreneur to start your very first online store! In this competitive market like ours it is no longer mount generic online stores that do not differentiate. Find your niche, either it is very specific or with limited competition products covering needs that are not well covered in the market. 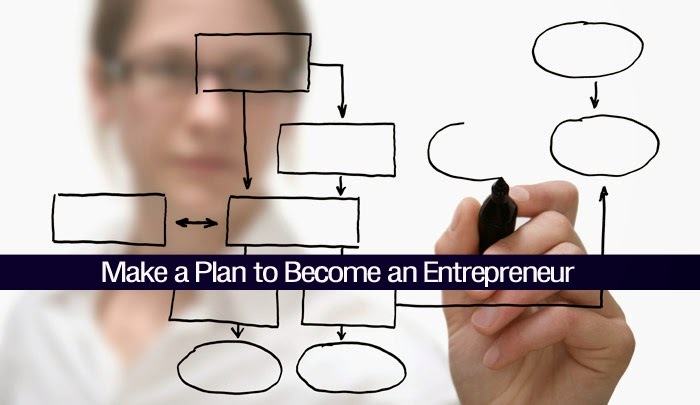 At this point make a comprehensive business plan and analyze the product market competition and take a perfect decision to start the company based on your niche as soon as possible. One of the most critical points in your business, that will define the initial structure to invest and you’re going to have to take many, is the same way as it will work with your suppliers. The rules are very simple, the more buying power will be at better margins and better service. If you are able to buy your product cost will be slightly higher and therefore a smaller margin. But if you buy a lot you risk that your market can not absorb it and stay with excess stock and therefore money stopped. Also you should consider the way you’re going to distribute. Are you going to mount store? Will you need staff to manage it? Another way is to work with providers to ‘dropshipping’ system whereby the supplier ships directly from their warehouse to your own packing list. The downside of this system is in control of stocks, you should consider how to connect to your store in real time with your suppliers stocks. Note: Before starting the business selected suppliers, sales analyzes different scenarios and assess all possible options of product acquisition. Whether you use your own store purchasing merchandise as if you opt for dropshipping, I recommend you work with your own shipping agent. The right choice depends on the type of distribution you have to do, the type of product you sell and the service that you provide the agency itself. Today there are many options and all are very different. Scan all items, prices, volumes, insurance of goods, delivery, connection to your store for traceability, different formulas for handling returns (that have) and change orders (they also have). No charges and no shop today you have to offer the maximum billing formulas to avoid losing sales. It is therefore important that you negotiate with your bank for a virtual POS, but I assure you will hit the most ridiculous, but so is the banking market. Therefore I advise you to present the bank with a detailed business plan, you sell them on the idea, believe in her, after all they are going to be a provider and need. No plantees only “need a POS” because you probably need many more things as loan equipment or technological developments, credit to purchase merchandise and cover peaks in cash, good condition transfers to pay your suppliers and employees with little financial costs , and especially to meet you as a company and take you seriously. Before and behind an online store there are people, both selling (you, your team and suppliers) as those who buy (your customers). Especially the latter need to feel that behind the store is a company and a person who will solve their problems, which are many. If you think you can create a store while working on another site 9-2 and 4-7 you can not serve your customers the way they expect and lose. Set all possible means to get in touch with them (phone, email, chat, etc.) and act like you have a physical store. Do not be shy about calling your client by phone, check your data, hear his voice, know who buys and know better what to expect from your shop for the best. Also before you buy you will be asked many questions about the product, the service, the company guarantees. If you do not provide them to resolve these doubts will lose sales. If you can not answer this, you need to have someone on your team to do it, you know, employee or partner. No mountains skate shop if you have no idea about the sport for a long niche that you had detected. Your client can not know more than you about what you are buying because you will not know what you want and offer understand your concerns. If you found a niche specialist but you’re not in it you know what you have to do, count on your team to someone who is, employee or partner. With all this (and much more that has been left out) you can go realizing that you just can not carry out your business, therefore looking for partners and distributes well the functions of each or create a team of employees contemplating their costs in the business plan. I still do not know anyone who is good at everything and also have time to carry out all functions, and that in my career I have met many people who have promised me that they could with everything and have fallen by the wayside . We have not yet begun to talk about the costs of the platform or of investment in marketing and I will be adding a good amount of money you’ll need. The biggest cost will be the personnel and acquisition of goods, curiously like a physical store, but then you’ll earn the creation of the platform and the need for investment in marketing to let you know. With all these compared to the estimated costs of sale and the profit margin can analyze whether your business will be profitable or not capacity. But the key will be how can I get the investment we need? I recommend you repartas the following criteria. An investment of yours, sell something, get off your savings, get a personal loan ultimately take a chance. Then involve your family and friends if they believe in you will be easier than a bank or an outside investor so. With everything I got Get it done in the part of the business plan to talk about that point and present it to potential investors or seeking bank financing. Do not ever go to them without showing them that you, your family and your friends are willing to risk for your idea because if you will not tell if you and your environment does not believe in your idea why should I? I left this part for last because without everything else not well resolved you should consider looking for an agency for serious development. I know it’s one of the first things that you thought, but if all else you’re confused can not convey the correct information to your marketing and technology provider and the job can not be done with the required quality. And with all that we’ve talked select a vendor that understands your project, make you love him as you and your team and fight for your idea. It is also important to know that these providers have costs for these projects that need development and monitoring of marketing that must be given, so I need to Contemplate as investment in your business plan amortizable medium term. With all that desire to have helped find the right way to get many hits so many internet entrepreneurs who see their future.